I finally managed to see Notre Dame de Paris on a sunny day! (Now watch me whip whip, watch me nae nae). Usually, the Parisian sky looks more like this when I approach Île de la Cité. Understandably, I simply had to try my luck and queue for a visit of the towers. One hour later I got blown away by the breathtaking view over Paris and the turquoise Seine. But I especially loved some of the architectural highlights, which the cathedral only reveals to those brave enough to climb the 422 steps up (and down). After a 1 hour bus ride through Singapore’s CBD in 2011 (transit tourism), we figured it could be fun to spend more time in that city-state. So we went back for 1 week this year, crashing at friends. While malicious tongues claim it’s not worth it to spend a whole week in Singapore, we wouldn’t agree. We were actually quite occupied, never bored, and didn’t even manage to see all places of interest. The locations we enjoyed most were the ones standing out for their colourful appearance. Please click on the photos below to read their captions and learn more. I was born in a town not far away from Dresden. Back then, the city had no Frauenkirche yet. Or should I say no more Frauenkirche? 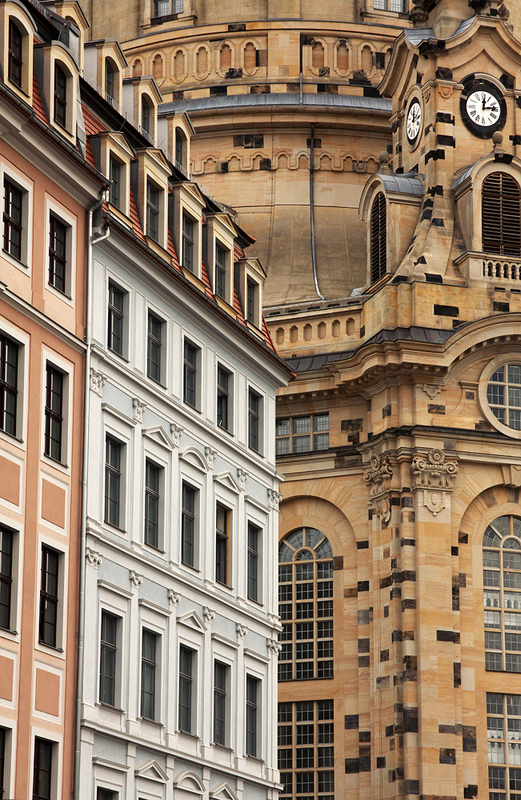 The history of the Church of our Lady (Frauenkirche in German) is as complex as long. In a nutshell: The church was first built in the 11th century – torn down and rebuilt in the 18th century to offer the growing community more space – surviving over 100 cannonball fires during the 7 Year’s War as well as the May Uprisings during the 19th century – and finally succumbing to the heat generated by over 600,000 bombs that the Anglo-American allied forces dropped on the city during World War II in the 20th century. The political situation and lack of money in the GDR nipped all intentions to rebuild the church in the bud. Only after the German reunification, a few citizens created an initiative to promote the reconstruction of the Frauenkirche. I always thought they must have been marketing masterminds; or how do you explain that they managed to gather 5,000 members in 20 different countries when there was no internet or smartphone technology available yet? Rebuilding the church cost 180 million Euro. The biggest part of that money came in through private donations only! The reconstructions started in 1993 and lasted more than 12 years. The idea was to use the original church plans and even as much of the original church material as possible. Approximately 3,800 original stones have been reused and are easy to spot due to their darker colour from weathering and fire damage. 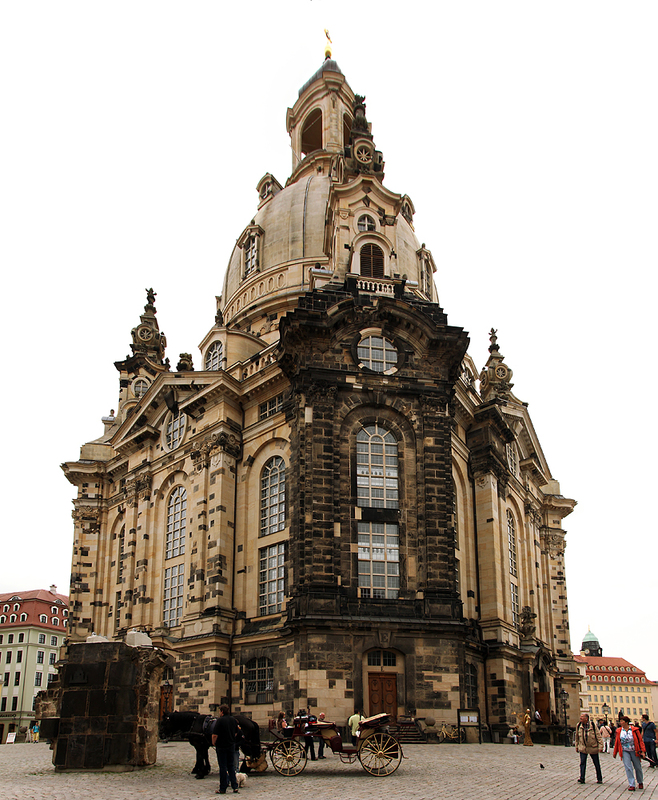 The Frauenkirche reopened in 2005, 60 years after it had been destroyed, and serves as symbol of reconciliation between former warring enemies. Since I had left my home town in 2005 I actually never made it to see the church after its completion. A visit was therefore on the top of my To Do list for this year’s “holidays at home”. I hope you enjoy my photos. Please also visit my Instagram account for more holiday impressions from Dresden! Panorama of the church’s north side and the largest remaining original structure (dark stones) interoperated with the restored work. It is not allowed to take photos in the church, but you can take plenty from the viewing platform above the cupola. Top: View towards the Elbe (river), the famous Semperoper (opera house), Zwinger (palace) and the Kreuzkirche (another recently reconstructed church). Bottom: typical architecture and colouring of the houses surrounding the Frauenirche. On the black and white image above you can see a round glass roof on the left side. 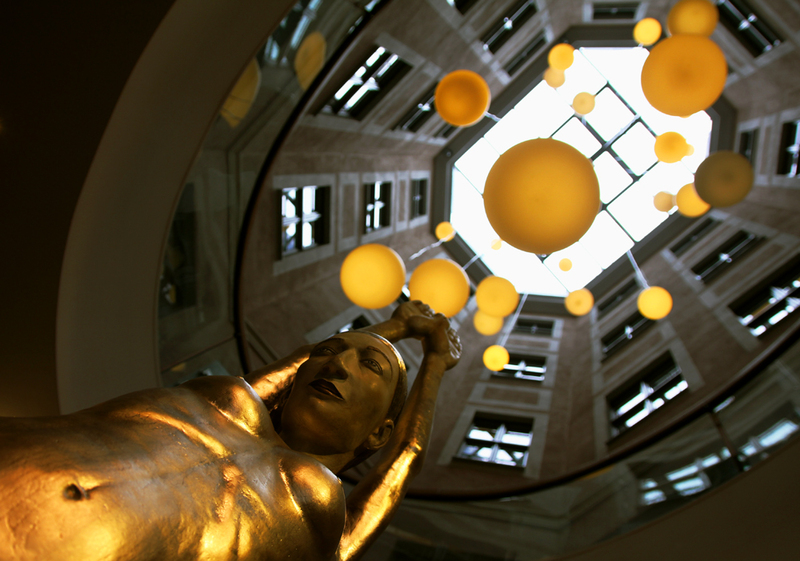 It’s the roof of the Staatliche Kunstsammlungen, Dresden’s cultural art institution. This is a panorama of the entrance hall. 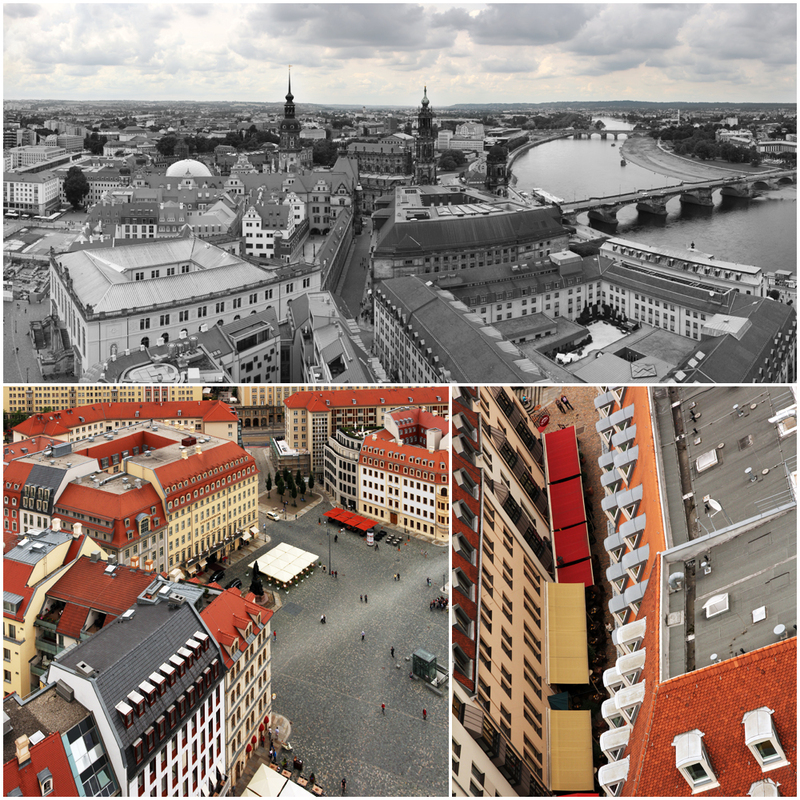 Also on the black and white photo above, at the very bottom left, you see the building in which you find the Dresden Tourist Information – offering plenty of tips when you want to visit the Church of our Lady – as well as some fantastic light installations. Look up!